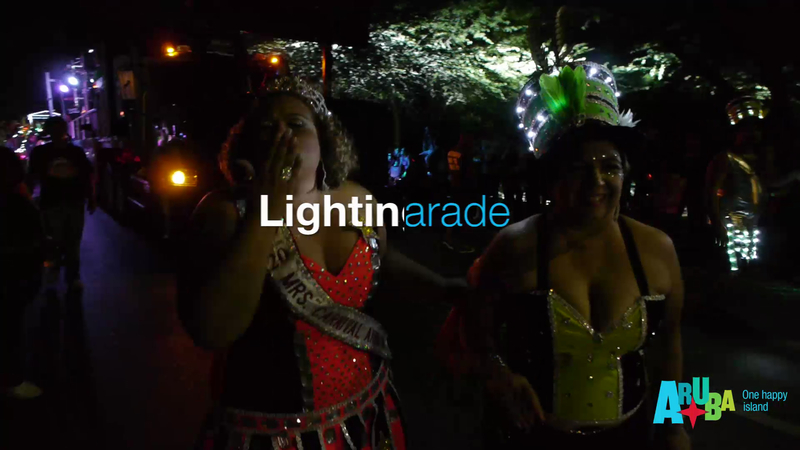 The Aruba Lighting Parade is one of Aruba's favorite carnival parades, held in downtown Oranjestad. Aruba's favorite evening carnival parade is a visual treat: thousands of tiny lights are incorporated into costumes, road pieces, and floats, intensifying the dramatic effect to an already stunning, creative display. Live bands accompany the various participating carnival groups. Held in downtown Oranjestad, the parade begins at 8:00 p.m and ends at 2:00 am.